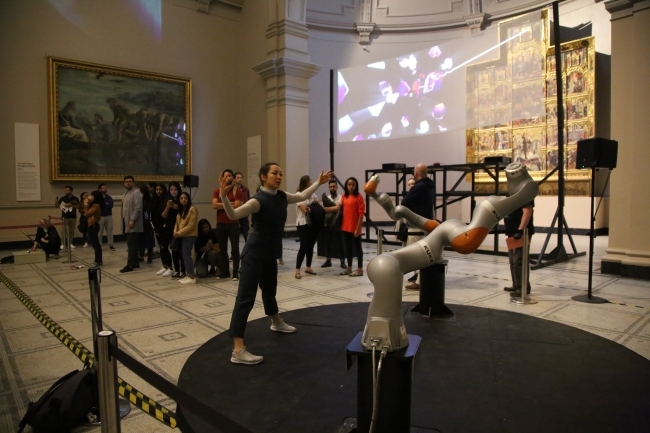 A powerful display featuring robots, human dancers, music and synchronised projected graphics in London this week is challenging people to question their attitudes to robots. The “Slave/Master” project, designed by the Brooke Roberts Innovation Agency (BRIA) and on show at the V&A Museum this week, shows two pairs of robots dancing in perfect sync with human performers in a dramatic but finely choreographed routine, while back-lit with graphics that depict the robots’ “souls”. The installation wants to help change people’s perceptions of robots using art. 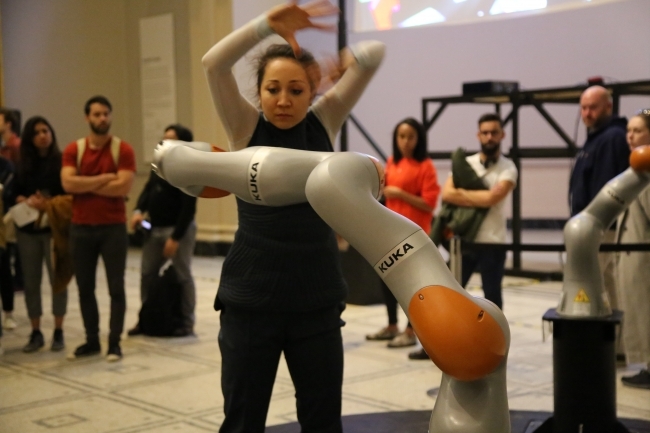 While passing between the robots pairs and moving in sync, the dancers maintain a safe distance from the robots at all times, showing the public that the new generation of collaborative robots – also known as “cobots” – are designed to work alongside humans safely. The project was supported by technology partners KUKA Robotics UK, Adelphi Automation and SCM Handing and used PowerMill software from Autodesk. The dancers and staff from BRIA were trained how to use PowerMill and programmed the basic choreography within 1.5 days. “Slave/Master” is free to attend at the V&A Museum until 24 September.